Welcome to St Mary's RC Primary School! 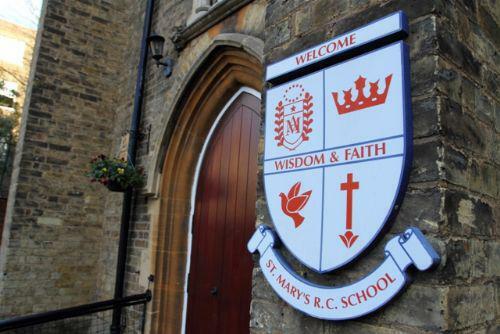 St Mary's is a Catholic primary school in which everyone is valued as a member of God's family. Our school has existed on this site since 1861 and we are proud of its long tradition of high quality Catholic education. We are confident that you will find our school a friendly and caring community where everyone is committed to providing the best possible learning opportunities for each child, a place where good behaviour and respect for others are highly valued and where every child is encouraged to reach their full potential.